Flax linen is one of the world’s oldest natural fibers, made from the stalk of the flax plant. It comes to life with use, with being washed and hung to dry in the fresh air and sun. It also sheds dirt very well and easily. And it is the strongest of the vegetable fibers; up to two to three times stronger than cotton. It is even stronger when wet, yet it softens on repeated washings. A lint-free fabric, it is also perfect for drying glass. 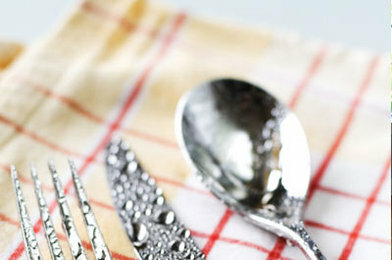 Linen makes an excellent dish drying towel because it absorbs 20 percent or more of its weight in water. Now that is a good dish cloth. You can use the same towel for many pots and pans. It is also naturally resistant to bacteria. Cotton dishcloths, while good enough, aren’t nearly this good. The one caveat about linen is that it is vulnerable to mildew, so make sure to dry linen dish towels well once the last dish is put in the cupboard. i like to buy from eBay superb vintage bedspreads made in russia or other east european country.